Temperance is important to the Christian life. It involves being moderate in everything we do. We need to have control over our appetites and passions. Anything that is lawful for a Chistian to do must still be controlled. There has to be a balance in the Christian life in all that we do. The root word for temperate or temperance is temper. It has to do with maintaining a proper mixture in order to balance something. Temper is a term that is used in metallurgy. It is part of a process called heat treatment. Heat treatment helps to give metal the proper balance or mixture of strength and ductility. Through properly controlling the heating and cooling of metals, like steel, they can be made very strong while at the same time still remain ductile or flexible. 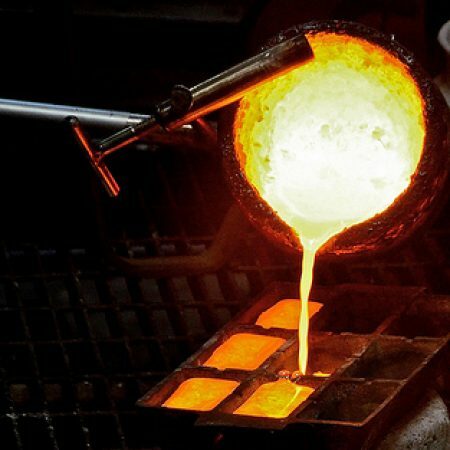 If a metal is heated, then cooled very fast, it can be very strong, but it loses too much ductility and becomes very brittle. Such kinds of material can be very strong, but need to be handled with extreme care because they can break or shatter easily. Everyday we need to learn to control this flesh and not let it win. We need to bring it into subjection. You can also be righteous over much, as Solomon said in Ecclesiastes. You can be so focused on being the perfect Christian in all the little details that you have no grace in your life or the life of others. The Pharisees were the perfect example of this. You ignore the weightier matters of the law like judgment, mercy, and faith. Metallurgist spend their whole life trying to figure out how to make materials that are more temperate. We should do the same in our Christian life. We need to be strong in holiness while maintaining the ductility of grace in our life as we strive for the mastery.